It’s Friday and to perk up your weekend, here are some shiny new experiences for your browsing pleasure. If you’re craving something a little different from the norm, you’re in for a real treat! Adopt a London pigeon, brush up on your Cockney, make Buckingham Palace look like a Jackson Pollock painting, become a real life mermaid (or man) and more. The question is: which one will you choose? Calling all Chas and Dave fans and wannabe pearly king and queens! 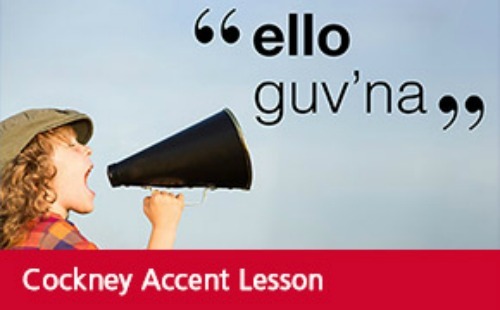 This tidy cockney accent lesson in East London is your chance to learn to emulate the dulcet tones of the likes of Danny Dyer or Barbara Windsor. Feed your boat race with a fry up and a ruby murray during this authentic experience and come away feeling like a true Eastender. 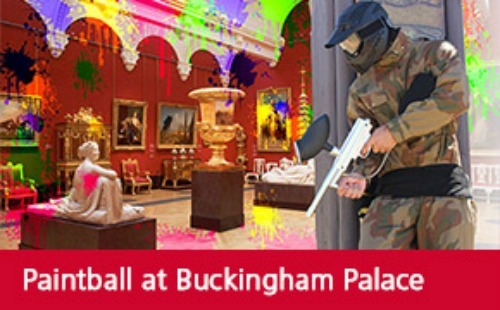 Experience the ultimate adrenaline rush during this paintball session at Buckingham Palace, the official London residence of Britain’s Kings and Queens since 1837. With over 775 rooms available in which to hide from the other team and plenty of historical memorabilia to use for concealment, this is truly a top notch experience for any adrenaline junkie! Each year, people flock to their nearest animal centres to adopt owls, penguins, meerkats and other such exotic creatures – but what about the poor old London pigeon? 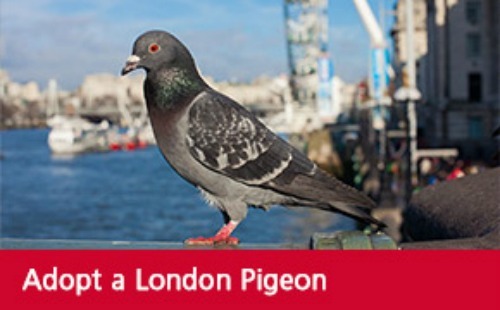 By adopting a London pigeon, you are helping ensure their future and not only do you get to visit your bird on a regular basis, you also receive a pack which includes a bird poo identification kit, an Oyster Card (complete with £5 top up), an information sheet about your feathered friend, a personalised mug and a colouring book. 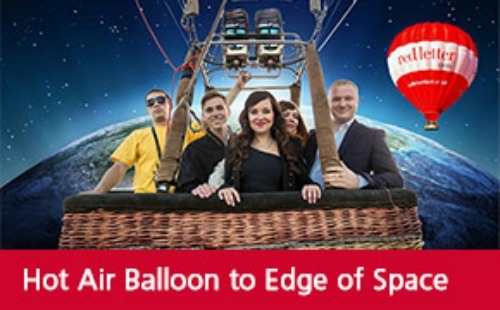 Make history in April 2016, when stratospheric balloon tourism lifts off for the very first time from the gardens of Lambeth Palace and be one of the lucky first flyers to fly to the edge of space! Brace yourself for the selfie of a lifetime when you reach heights of around 100, 000 feet, and see the sun rising over the curve of Earth. Say cheers during a champagne toast with the group before everyone dons their necessary flight-safe suit for landing. Looking for a massage in Marylebone or acupuncture in Arsenal? This rush hour spa experience on the London Underground is a must try. Simply select your pick up (and drop off) point from preferred stops in Zones 1 – 3, wade through a sea of disgruntled commuters and meet your masseuse for a spa treatment that you’re unlikely to forget. 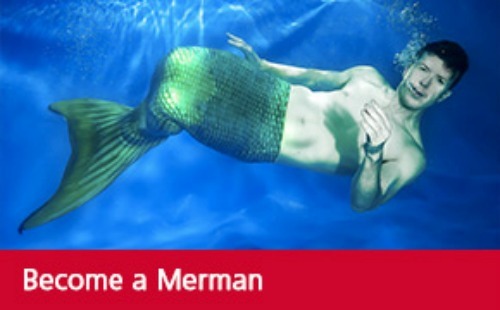 Ever wanted to follow in the footsteps of Derek Zoolander and become a merman. The first of its kind in the UK, this freediving course with a twist is the closest it gets to being a real merman. Learn breathing techniques before gliding gallantly through the water without the need of breathing apparatus – something to remember for a lifetime. Which of our brand new experiences are you excited about trying first? 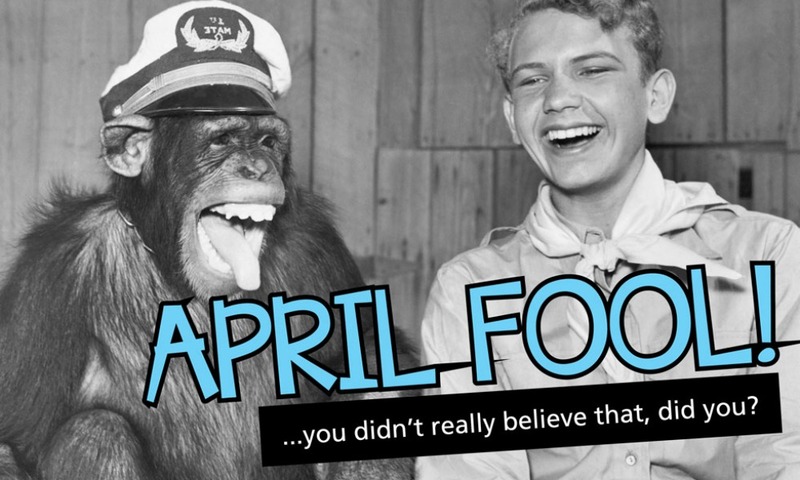 So… it’s 12.01 and to uphold tradition, we declare the official end of April Fool’s Day and ‘fess up! We hope you enjoyed our five spoof experiences this year. Did you guess which one was real?